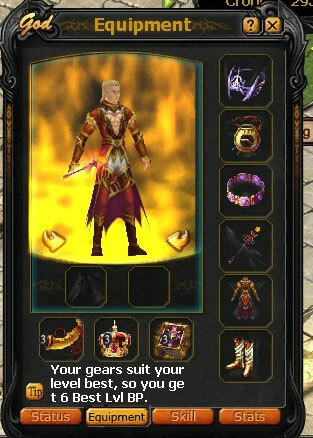 Are you sure you are armed with the best equipment for your level? You should know that the best equipment doesn’t necessaarily mean elite or super equipment, but it should be the most suitable for your level. 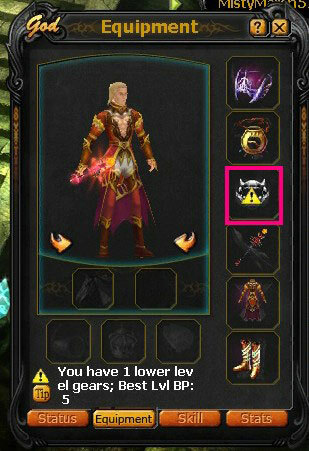 The best Level Equipment system will identify the level of your equipment and your character. If one piece matches properly, you will gain 1 Battle Power. If they don’t match each other, you will see an exclamatory mark on your equipment. You can have up to 6 Battle Power from having the Best Level Equipment.